MOSCOW (Sputnik) - The recent decision of over 25 countries to expel Russian diplomats over the so-called Skripal case was made prematurely since no results of the investigation into the case had been presented yet, Bela Kovacs, a Hungarian member of the European Parliament, told Sputnik on Friday. A number of countries, including the United States, Germany, Canada and Albania, have recently expelled Russian diplomats as a sign of solidarity with the United Kingdom, citing Moscow's alleged involvement in the poisoning of former Russian spy Sergei Skripal that took place in the UK town of Salisbury on March 4. "First of all, I will say that it was a very big mistake to act so hastily on this issue in relation to Russia, or against Russia. Why? Because for now we have not seen any results [of the investigation]… It is clear to see that this is a political attack against Russia," Kovacs said on the sidelines of the Stolypin Forum in Moscow. According to Kovacs, the investigation into the Salisbury incident should be completed before the blame could be cast. While addressing the forum participants earlier in the day, the Hungarian lawmaker remarked how that the expulsion of diplomats over the Skripal case reflected the failure of diplomacy. "In the end, we will come to a state where there will be neither Russian nor any other kind of diplomat in various embassies … This is a complete failure of diplomacy… I do not think [the expulsion of diplomats] is the solution of the issue — it is the opposite," Kovacs said. Skripal, a former Russian GRU colonel who also worked for UK intelligence, and his daughter Yulia have been hospitalized since early March due to exposure to what UK experts say is the A234 nerve agent. 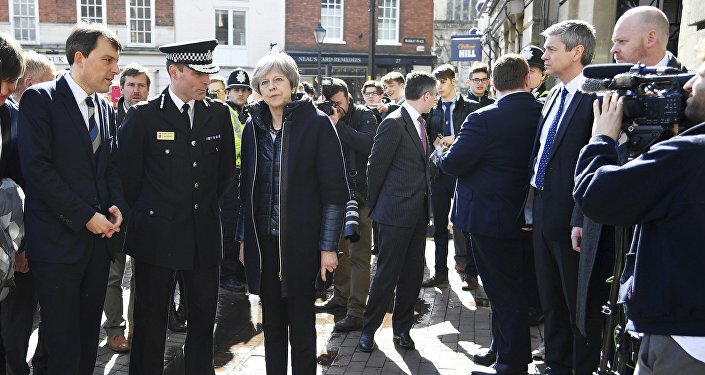 UK Prime Minister Theresa May has accused Russia of orchestrating the attack and expelled 23 Russian diplomats, while the European Union has expressed its solidarity with the United Kingdom. Russia has strongly rejected the accusations and offered to assist in the investigation. However, Moscow's request for samples of the chemical substance used to poison the Skripals was rejected. In response, Moscow expelled UK diplomats and ordered the British Council to cease its activities in Russia.